Detail of “As the Cartilage Chain Formed, 2015.” Come see it in person, W-F 11am-7pm. Sat. 12pm-5pm. Artist Talk: May 16th, 2pm-4pm. 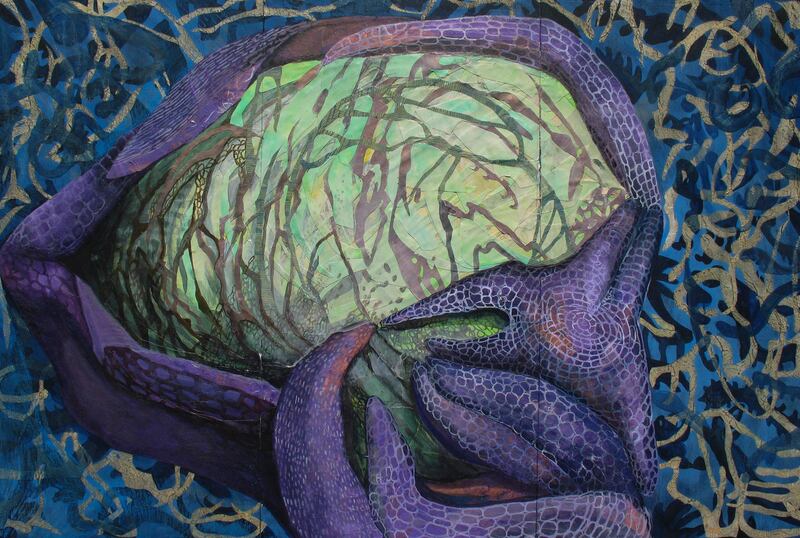 Mixed media paintings on panel and drawings on paper of invented landscapes and liquid-scapes populated with beings that are both gnarled and permeable. 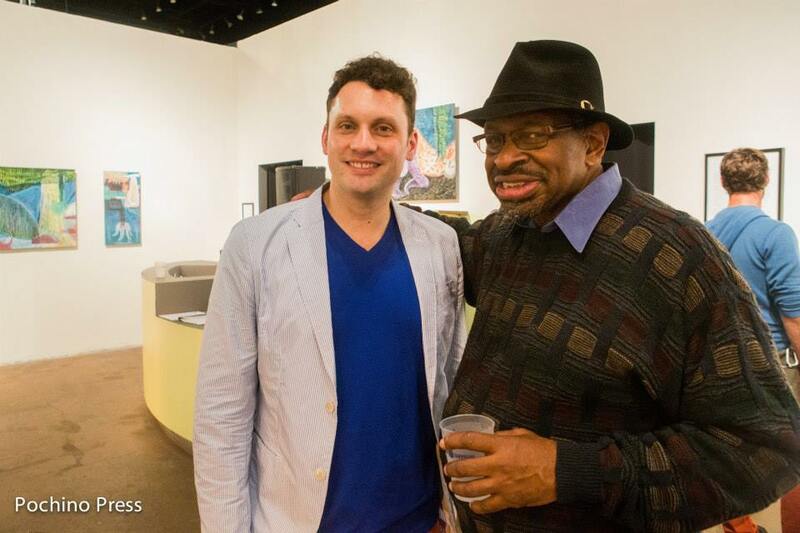 STRIATION Artist Jamie Treacy and Emmy Award winning Oakland-based artist, James Gayles. Next Post June 5th, 6pm-9pm • Jamie Treacy’s STRIATION catalog debuts!